Interrupted sleep due to Rivers up every couple of hours and a 3am bathroom incident. 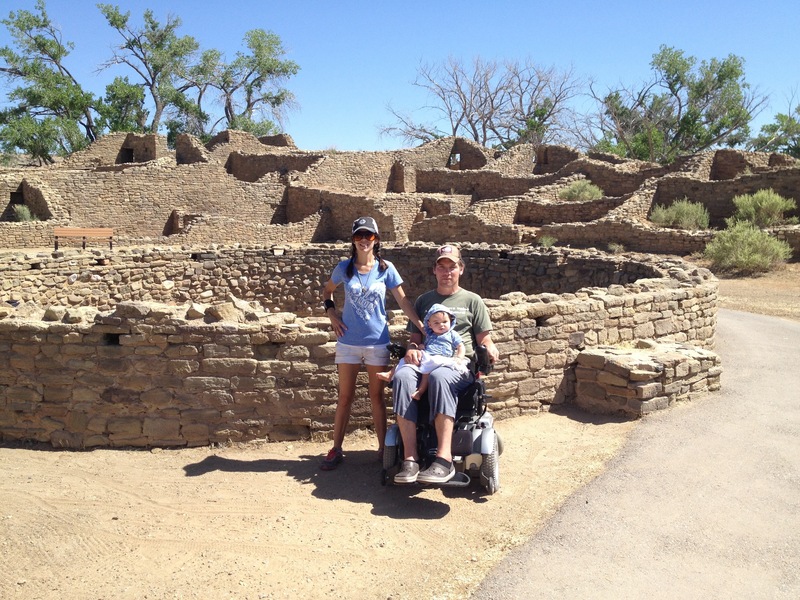 Our apologies to the Step Back Inn..
First stop – Aztec Ruins, actually Pueblo Indian Ruins circa 1100-1300. Really cool. We did a self guided tour. In all honesty, it was hard to understand the book. 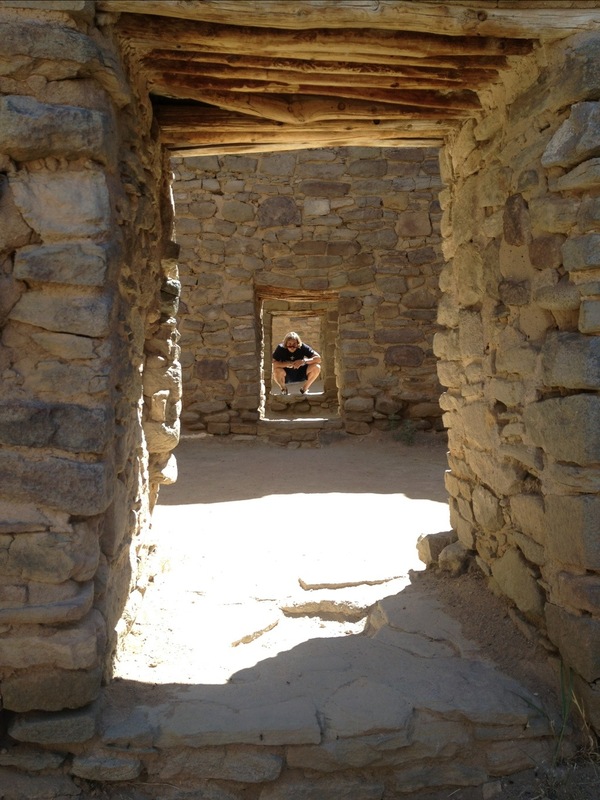 Steve checked on ancient pueblo ADA regulations. 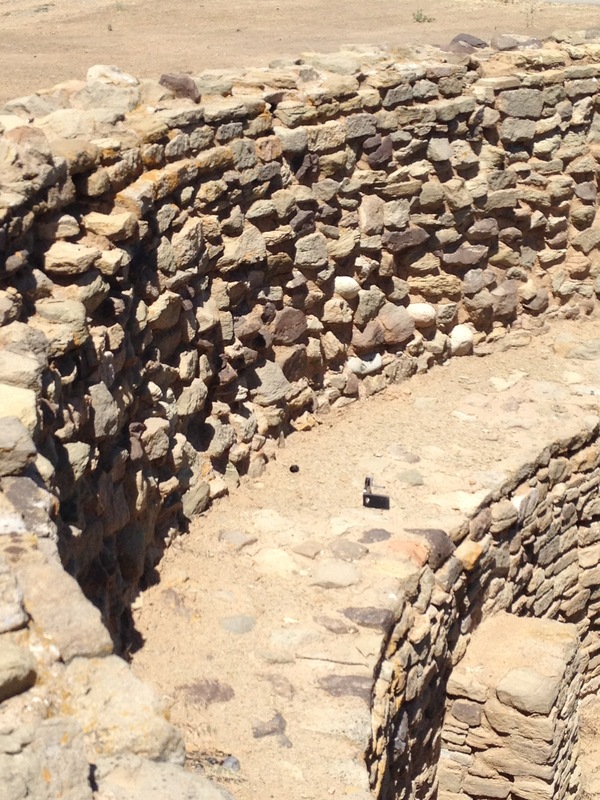 Steve set up his iPhone for a time lapse on the edge of a deep, circular ruin. 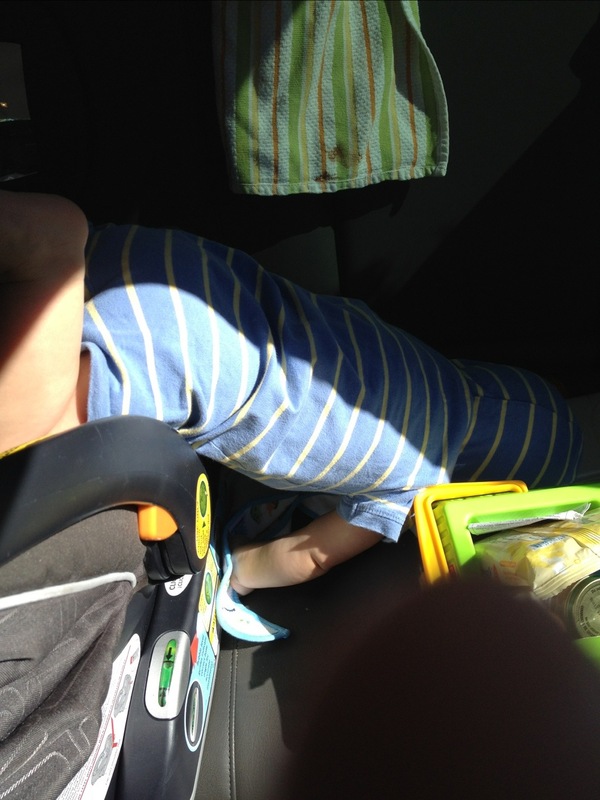 When we came back to retrieve it, the phone was gone. I looked down in the pit and there it was, laying on its back in the ruin that you’re not supposed to touch. 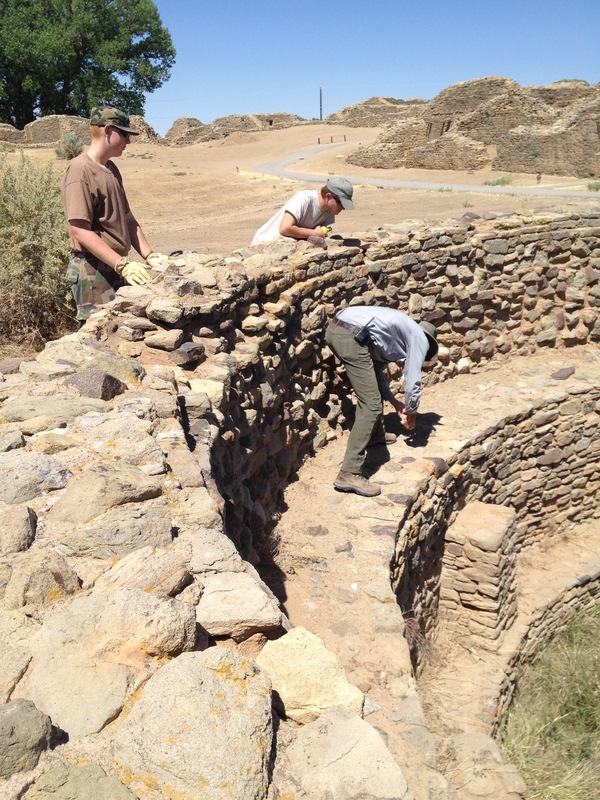 So the volunteers called the authorities and were instructed to call the archaeologist. Vern, the archaeologist, hopped in the Pitt and got the phone. 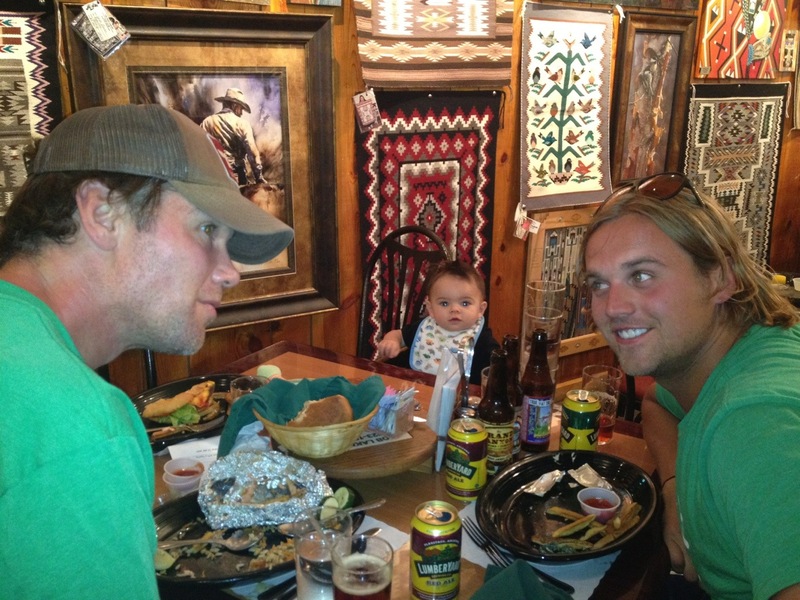 Unfortunately, the time lapse was gone, which unfortunately happens to steve occasionally. Awesome place. Makes me want to go home and clean out the house. Next stop. 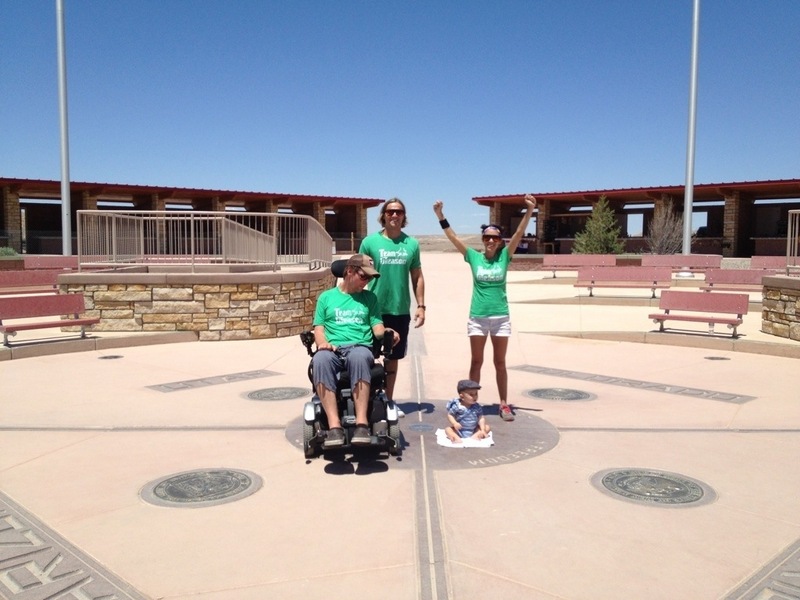 The Four Corners! It’s not in our “1000 things to see book”, which makes me wonder how credible this book is..
After a dinner with the boys we went to sleep. 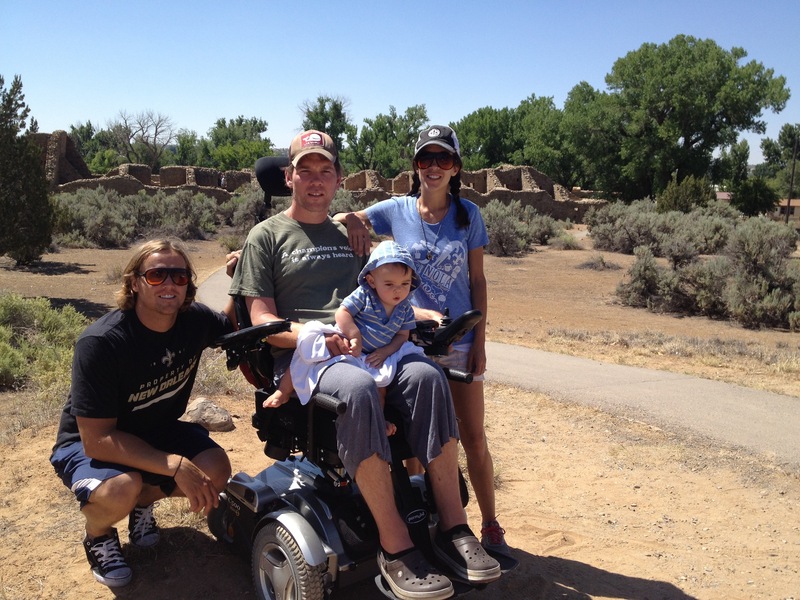 This entry was posted on June 13, 2012 by STEVE GLEASON. It was filed under On The Road . 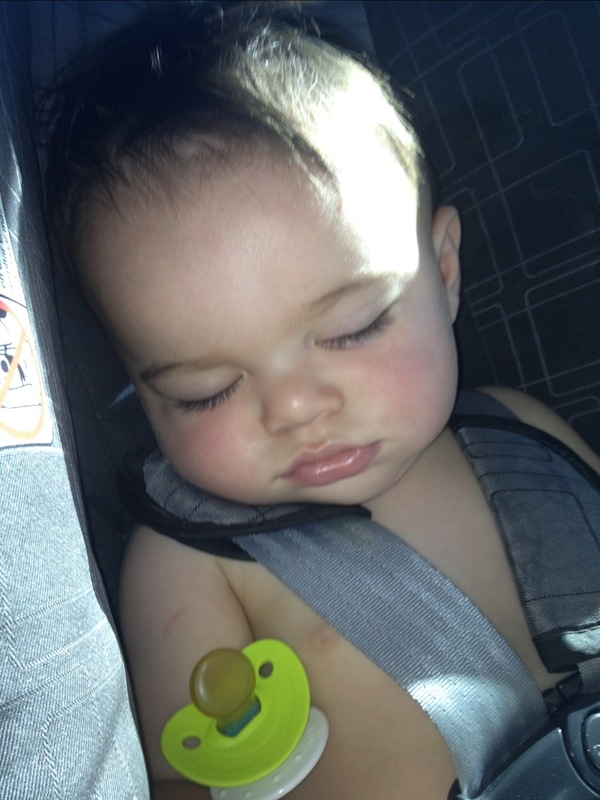 That’s one beautiful baby…We’re missing him big time!